Custer State Park must be South Dakota’s “Best Kept Secret”! Everyone comes to the Black Hills to see Mt. Rushmore or maybe the Crazy Horse Memorial. No one comes to or even knows about Custer State Park until they arrive in the Black Hills. As their Web Site says “Custer State Park in the Black Hills encompasses 71,000 acres of spectacular terrain and an abundance of wildlife. 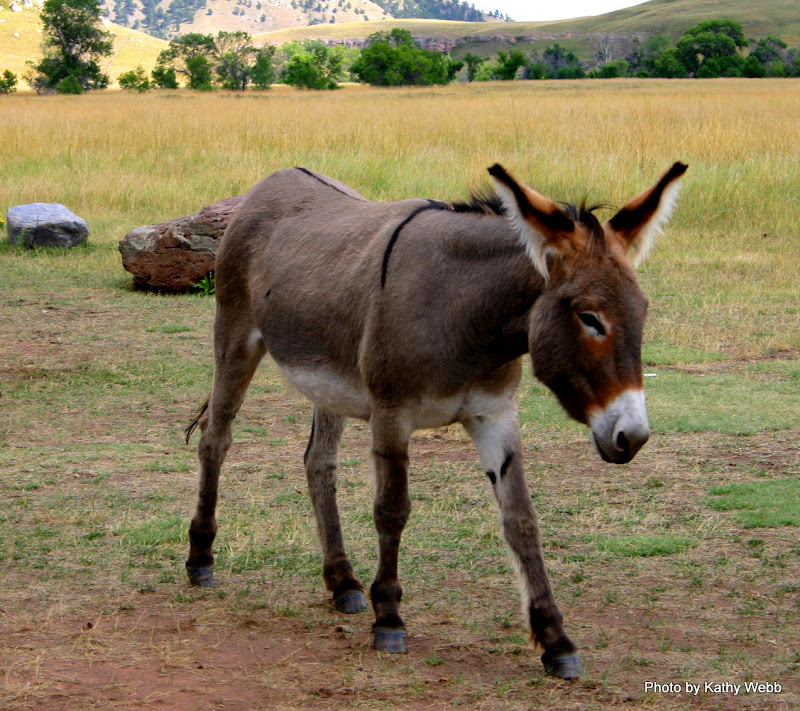 Within the park, you’ll discover a world of adventure!” Custer" State Park is just south of Mt. Rushmore. Think of it as Yellowstone without the geysers. They have herds of buffalo! We saw them everywhere we drove in the park. They have buffalo jams! There are over 1,500 free roaming buffalo in Custer State Park. This herd of female Big Horn Sheep was grazing in a picnic area right next to the road. They have Pronghorn Antelope! We saw them in several locations in the park. They have Prairie Dogs. We saw several large Prairie Dog towns. They have Mountain Goats! What are Mountain Goats doing at these low altitudes? They started from six goats. given as a gift from Canada back in the 1924 that escaped from their pen. One source we saw said there are now thought to be 400 Mountain Goats between Custer State Park and Mt. Rushmore. So, if you go to Mt. Rushmore at exactly the right time you could see a Mountain Goat standing on George Washington's head. They have wild burros! These are from escaped burros used for tourists back in the 1920s. We also saw a White-tailed Deer, but couldn’t get a picture. To add even more interest to the area back in the 1930’s they built tunnels that frame the faces on Mt. Rushmore and then built the roads so that they would line up with the tunnels. To accomplish this they have roads the loop under themselves. The faces on Mt. Rushmore are over exposed in this picture, but you get the idea. This is the view from the other side of the tunnel. These are very narrow one lane tunnels. There is a tunnel in the Needles area of the park that is so narrow that there would only be one inch of clearance on each side of our truck. Needless to say we didn’t travel that road. Thanks for letting the secret out of the bag...love all the critter photos especially the prairie dogs...I always look forward to seeing them when we travel west. Enjoyed the pics and posts. We went thru some wildlife park when we were out there years ago. What a great place to see!!! Ok now these are the best ever!!!!! Love the Mt. Rushmore pic from the road and all the creatures great and small. What did Raider think of all those buffalo on the road and Eyore? Oh, I want to go more than ever now that I've seen your pics and read your blog post! Enjoyed it very much!! Thanks for visiting my blog! I didn't know I could use Windows Live Writer for my Blogger! I've used it for Windows Live Spaces... thanks for the tip! I love Buffalo! They've been my fave since visiting Yellowstone as a small child. We crossed a section of Custer Nat'l Park on our move out here, but didn't see any wildlife, I guess since we were on the very edge. Your dog is beautiful - we've had 2 Goldens; they are our favorites. My husband's favorite job was selling RV's - how fun that you get to see the country in one.